Cristina Kinney is a Program Associate in Environment at the William and Flora Hewlett Foundation. She manages a portfolio of grants that supports organizations working to protect regional resources and promote sustainability across the San Francisco Bay Area. Cristina co-chairs the Board of Directors of the Grassroots Fund at the Rose Foundation. She was born in Barcelona and raised in Madrid, Spain. 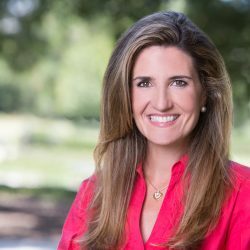 After graduating from law school at Universidad Cardenal Herrera in Madrid, she moved to Menlo Park, where she worked at a law office for several years. The focus of her work was a mix of civil litigation, some criminal cases, some federal cases, and human rights. Cristina then decided to change paths and become an event planner, her profession for seven years before joining the foundation. She speaks six languages.